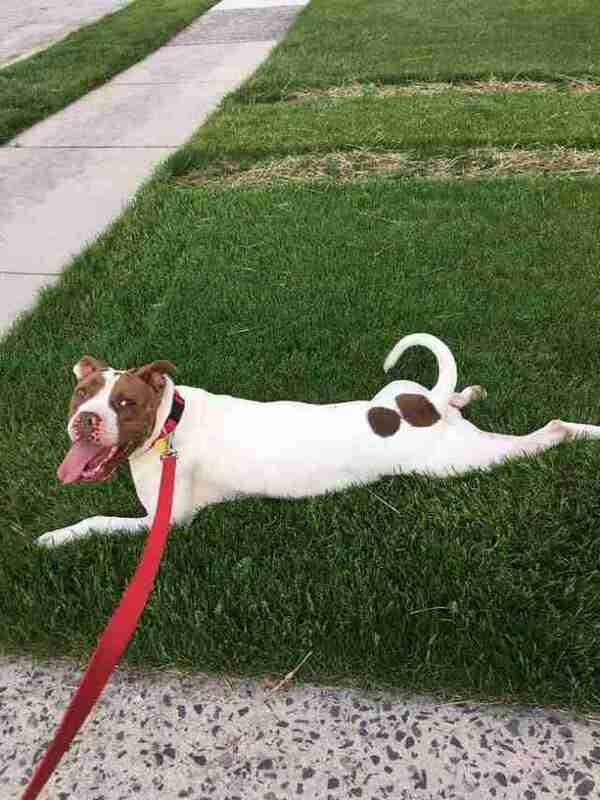 "If anybody still has misconceptions about that breed, I think Lady is the perfect example of why they are just as worthy and just as wonderful as any dog." You never know quite what to expect when someone opens a shelter dog's kennel. Will she be a relentless face-licker? A treat-aholic? Or even ... a hero? When it came to Lady, few people took the time to find out. Mostly because, in so many ways, she seemed like a typical shelter dog - one of 11,000, in fact, who find their way to the Baltimore Animal Rescue and Care Shelter (BARCS) every year. 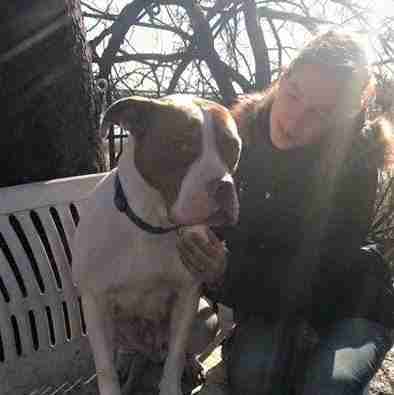 "She's just one of those dogs who was very overlooked," Bailey Deacon, communications director at BARCS, tells The Dodo. "She was loved by our staff and volunteers. But she wasn't getting a lot of chances for people to get her out and see how wonderful she really was. "People weren't picking her. 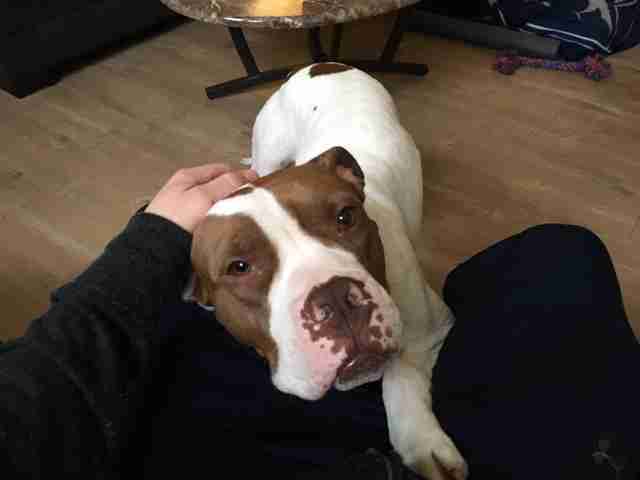 Everybody just walked by the brown and white pit bull." Even Lady's back story isn't as epic as most. She was brought in as a stray and had lived at the shelter for a few months. 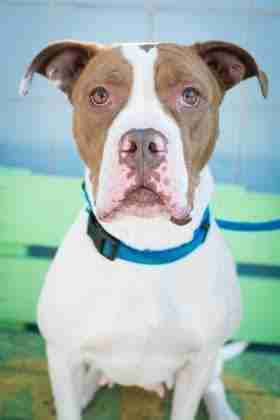 And she was a pit bull, the most commonly seen dog at shelters. In every way, Lady seemed ... unassuming. Think Clark Kent. 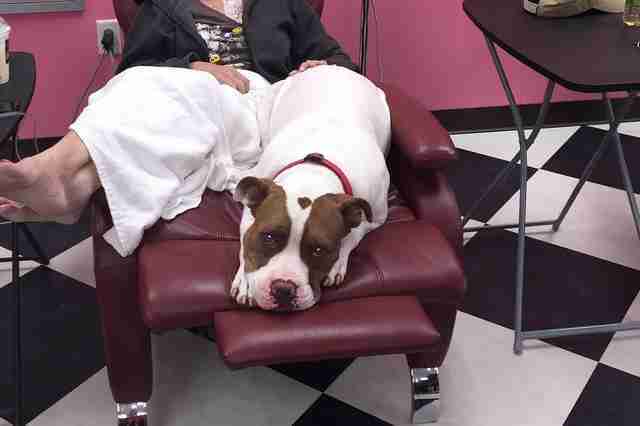 Because it turns out, in this dog's heart, there was a world that needed saving. 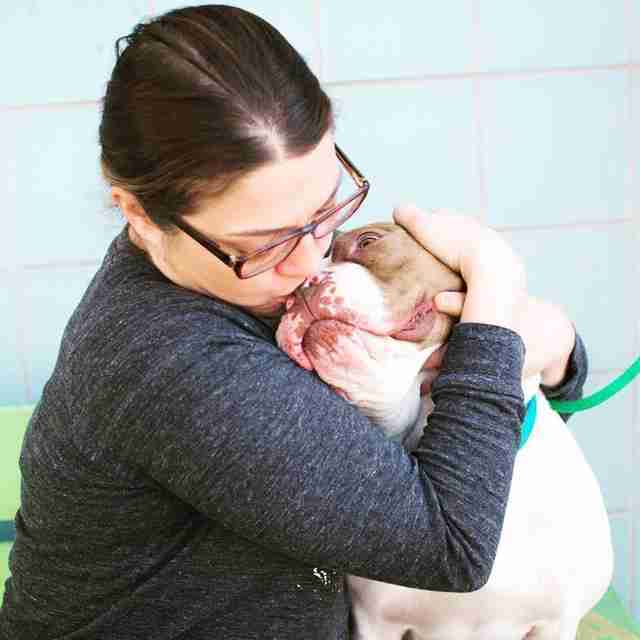 In March, Mandy Weikert and her partner, Chris Kimple, made the two-and-a-half hour drive from Mechanicsburg, Pennsylvania, to the Baltimore shelter. Their last adoption was a "hospice" dog, meaning the couple signed up to give an old, sick dog a happy and peaceful home for his final days. It was a bittersweet experience, with the dog living with them for just a week. "We wanted to get them one who was a little bit younger," Deacon explains. When Lady's kennel door opened and she was brought out to meet Weikert, she practically did cartwheels. "When she came out she was just goofy, she was running around and falling off things and just perfect," Weikert told People magazine, who hailed her as a "superhero" this week. "She made me laugh. And I just thought, 'She is always going to make me laugh.'" Lady, so long considered just another face in a bustling shelter, went supernova. "She wasn't the sensational one," Deacon says. "She didn't get all this attention while she was here for having something terrible happen to her. She really was just a stray dog running around. "And then she turned around and was like, 'Let me show you my sensational-ness.'" Weikert and Kimple took her home that day. And she's been shattering myths about shelter dogs ever since. 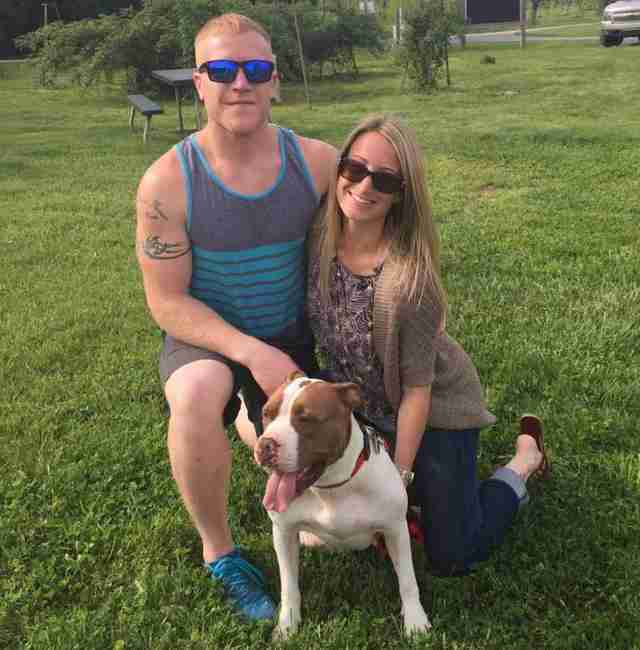 "People have this misconception that every dog in a shelter is broken," Deacon says. "Or there's something wrong. There must be a behavioral problem. They must be here for doing something bad. And that's just not the case." 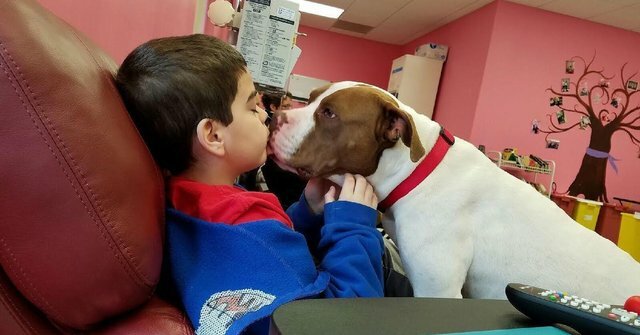 "I think Lady is a dog who really shows just how incredible a shelter pet can be when you give them a chance," Deacon adds. But Lady had even more to give. One day, Weikert, who is a nurse at a cancer treatment clinic in Mechanicsburg, brought Lady to work with her. The dog, who knew all about being sidelined and underestimated, literally leapt at the chance to cheer up patients. "She makes people laugh and makes people smile and makes people forget why they are there," Weikert told People. 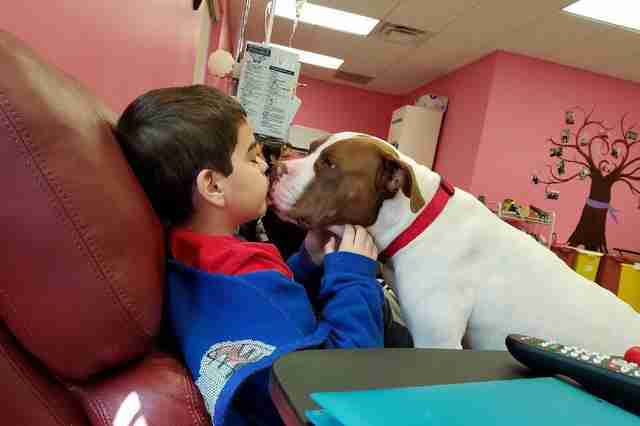 "When they are with Lady, they are not cancer patients anymore. They are just people who are happy." 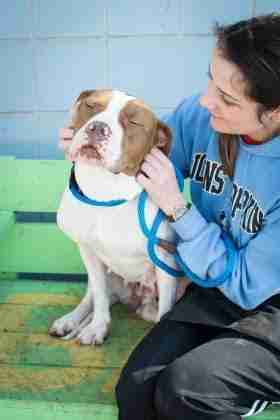 Today, Lady is a mainstay at the clinic, and often, a lifeline. "Even I didn't realize just how wonderful she was until her personality slowly started to come out," Weikert tells The Dodo. "When I walked into the shelter that day I could have never predicted what a blessing she would turn out to be. She just needed to be given a chance." And for all of her quirky charm, Lady takes the job seriously, waiting by Weikert's car every morning for a lift. "She turned out to be such a treasure," Deacon says. 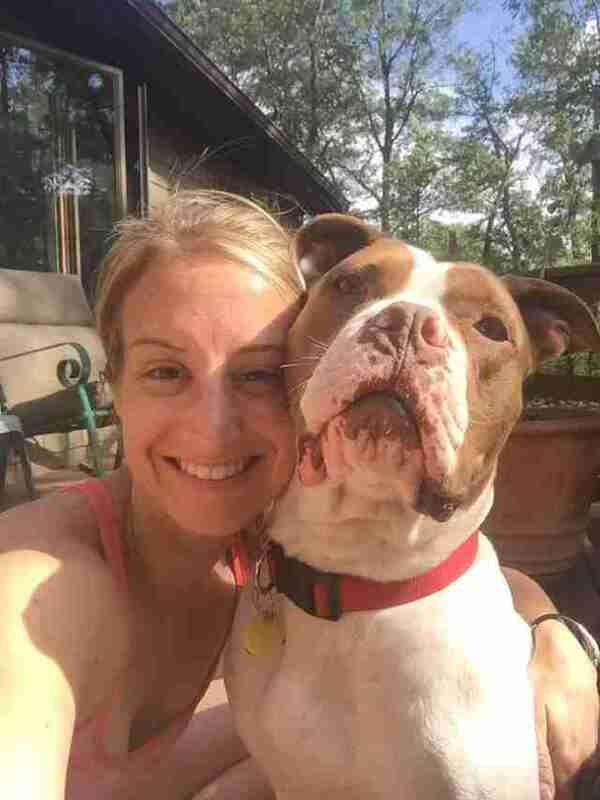 "If anybody still has misconceptions about that breed, I think Lady is the perfect example of why they are just as worthy and just as wonderful as any dog." Sometimes, you just have to open that kennel door. Along with your heart. 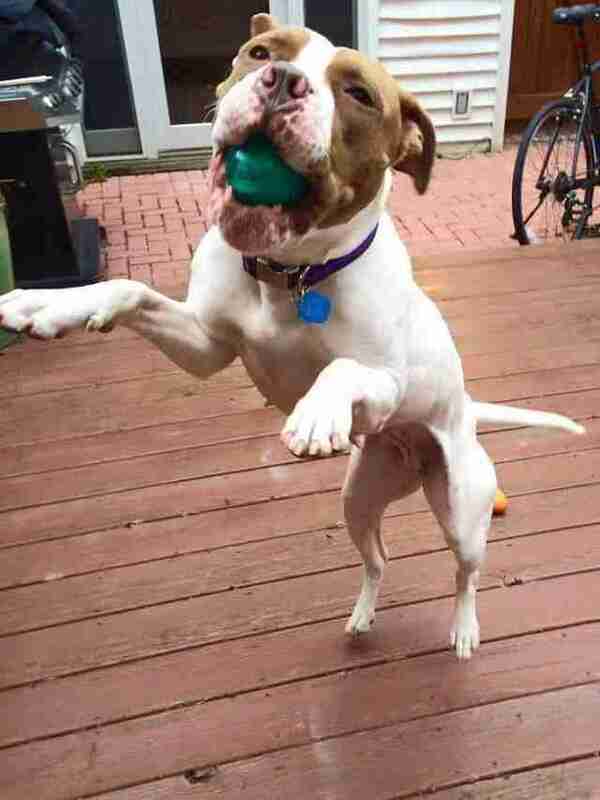 Think you might like to unlock a shelter dog's superstar potential? Visit Adopt-a-Pet.com. And if you would like to support BARCS and the work it does in finding homes for thousands of dogs like Lady, consider making a donation.